Our end of tenancy cleaning service is a quick and affordable way to prepare a property for the landlord’s inspection. The service is offered by many other companies, but only we can offer you exceptional quality at competitive prices. We guarantee that no other cleaning agency in Brockley can meet the price and quality of our end of tenancy cleaning services. We’ve been in the cleaning business for many years and we are familiar with the cleaning methods and equipment required to successfully meet the requirements of the pickiest customers. Of course, we can’t rely only on knowledge and materials to satisfy the needs of our clients – we also need responsible and devoted workers who are ready to perform all kinds of cleaning jobs. Our end of tenancy cleaning service is carried out by some of the most reliable cleaners in London. Each one of them has been professionally-trained and they can easily clean all kinds of properties. 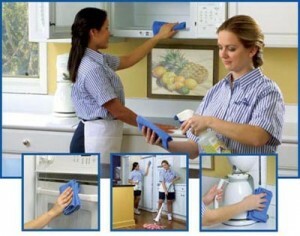 They are supplied with the latest cleaning equipment and products, so our clients don’t have to provide any materials. Don’t worry about hidden fees and taxes, because the cost of the materials we use is included in the service’s price. If there is anything else you want to know about our end of tenancy cleaning service, you can contact our friendly support staff.